My daughter Joanna loved this film when it was shown on British TV in the 80s and we have kept a video copy of it to this day – in fact only this very day did Joanna ask me for a DVD copy to share with her little girls – I am sure they will love it too. In a dream sequence Esther Willams as Katie does an underwater ballet with cartoon characters Tom and Jerry. Must admit I couldn’t see why this sequence was in the film but it was great fun anyway !!! 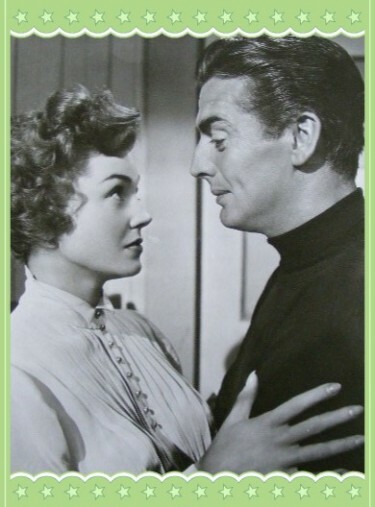 Katie Higgins played by Esther Williams is the daughter of a dairy farmer. The entire family (Pa, Ma, Suzie, Katie, and Junior) start the day with a brisk song titled ‘I got out of bed on the right side’ and then in for a morning swim. One day, Katie meets traveling salesman Windy Weebe who is instantly smitten. Weebe sells an elixir that purports to turn the user into a fit-as-a-fiddle specimen, and upon noticing the entire family’s strength in the water, suggests that they all attempt to swim the English Channel. The family and Weebe head off to England whereupon they learn that the distance to be conquered is 20 miles “as the seagull flies” but with the currents, can be up to 42 miles. Katie is the only one in the family strong enough to attempt this so she begins training with Weebe as her coach. On a foggy day, Katie, in the water, is separated from Weebe, in a rowboat, and is rescued by a handsome Frenchman, Andre Lanet played by Fernando Lamas who falls for the Katie (Esther) and begins trying to woo her. Katie tries to stay focused on her swim but is being pulled in different directions by the two men. 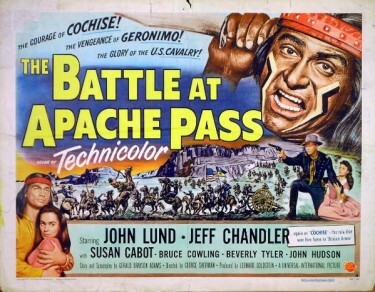 She then married singer/actor Ben Gage in Nov 1945 and had three children to him. They separated in 1952 and she said that he was an alcoholic who squandered 10 million dollars of her earnings. Seems a heck of a lot of money for the films she had made up to that time. They eventually divorced in 1959. Victor and Esther – Million Dollar Mermaid – above. She disclosed in her autobiography that she had an affair with actor Victor Mature while they were working on Million Dollar Mermaid because she said that at the time her marriage was in trouble and, feeling unwanted she turned to Mature for love and affection, and he gave her all she wanted. Earlier than this she had said that Johnny Weissmuller had been fondling round her in some kind of water show they did together – this is all in her autobiography which I have to say stretches the bounds of believability. In his book Tarzan, My Father Johnny’s son is critical of Esther William’s account of this and many of other of her claims. The most outrageous allegation concerned her liaison with actor Jeff Chandler who she says was a cross dresser something that his friends totally refute. Jane Russell described this as absolute rubbish. She then married actor Fernando Lamas and they lived together until he died. She now lives in Beverley Hills with her fourth husband Edward Bell, whom she married on October 24, 1994. Her autobigraphy gained much interest mainly because of the bizarre claims she made – as featured above - and it must be regarded more as piece of fiction and outrageous fiction at that – always against stars who were already dead and had no means of denying such preposterous allegations. To be fair to Esther Williams though she was a very popular film star of the late forties and fifties and her films did well and cinemagoers of the time seemed to love them. Someone once – I can’t remember – who is quoted as saying that when she was wet she was a star but dry she wasn’t - maybe that just goes to show that the studios were able to find enough material to make sure she was always wet – because she had a very successful film career. In all Esther Williams appeared in more than 25 films. 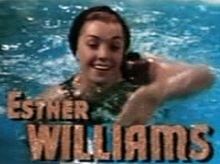 I have to say also, that from a personal point of view, I rather liked Esther Williams.